Plus One Gallery is delighted to announce the forthcoming solo show by gallery artist Elena Molinari. ‘The Alchemy of the Everyday’ will showcase her latest still life paintings which continue to explore new textures. Elena Molinari was born in Montevideo, Uruguay where she started painting at a young age. She later gained a Bachelor in Fine Art from The University of Montevideo. In 1988 Molinari moved to Spain, where she started teaching at the Faculty of Fine Arts of the University of Madrid. She worked as a Professor there until 2011, however was simultaneously working as an artist and has been exhibiting her work extensively since 1980 both in individual and collective shows all over Europe, the US and South America. 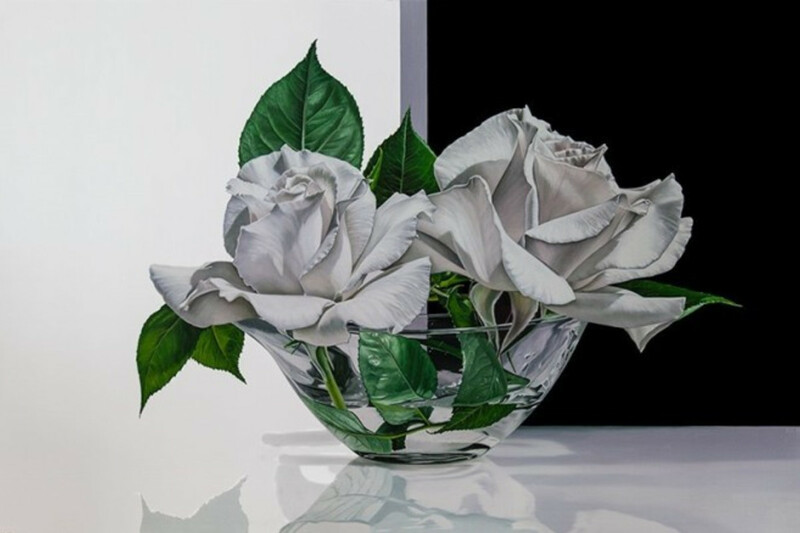 The reflective surface of glass is a key feature throughout Molinari's works, effectively helping to create a heightened illusion – the definition of hyperrealism. Her most recent works have a very stylistic bold quality to them. 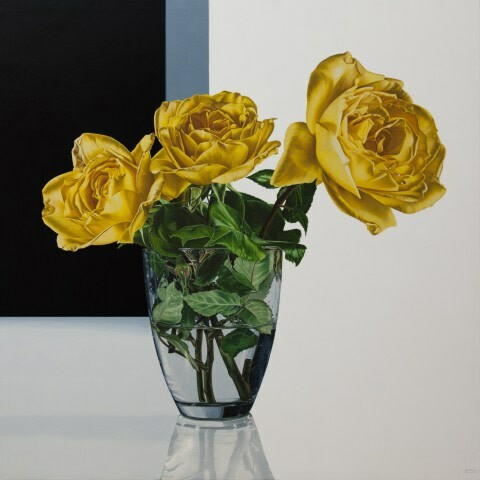 Featuring a variety of materials such as reflective surfaces, glass and pottery as well as silk cloths, fruits and cut flowers; her paintings exemplify what it is to be a hyperrealist artist. 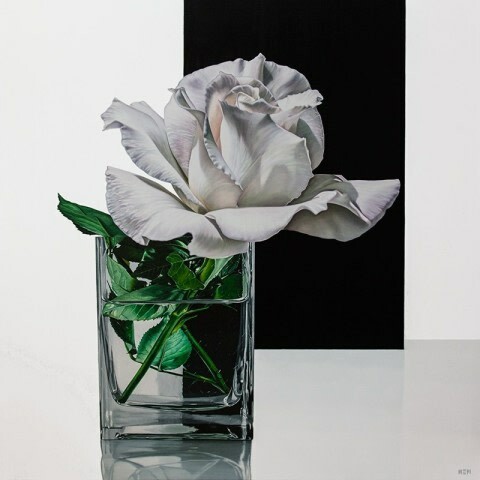 Molinari’s work holds the quintessential characteristics of the traditional hyper-realistic painting, details are emphasised and intricate pictorial elements are added that, in reality, would not be seen by the human eye. Molinari who has previously gained recognition for her “Crushed Tin Can” series, has stated that her transition to more classical still lives, was a natural evolvement in her work. She says: “After so many years of painting cans and looking for a balance between so many flat, metal objects I needed to focus on something new”. Moving on from the crushed cans, Molinari began looking at new textures, the ones we see in her work today. Challenging herself to tackle the many and varied techniques required to create such visuals, all in one composition, is something quite astounding and unique in Molinari’s paintings. ‘The Alchemy of the Everyday’ is on display until 12th November.